A page on cat anatomy needs to be a growing page bearing in mind the size of the subject matter. This page is just that. Simply click on the images below to go to details of the subject matter. SEE CAT ANATOMY FACTS FOR KIDS – A LARGE PAGE COVERING ALL ASPECTS. This page on cat anatomy is mainly about the domestic cat. But as the domestic cat is essentially the same as the wild cat, the descriptions cover both. In fact a discussion about the anatomy of the domestic cat in terms of structure, movement and its wonderful senses has to be seen in the light of the wild cat. And the wild cat’s anatomy is built around its lifestyle evolving as they did into solitary, mainly ground dwelling, mammalian predators of great efficiency. Some wildcats are tree dwellers. These are specialist climbers with long tails and slender bodies. In gradually building the page, I hope that visitors will, from time to time, share in the process by making the odd contribution using the form linked to below. Cat breeding has produced over 100 cat breeds (about 40 of which are mainstream) but they are all one species of cat, the domesticated wild cat. The wildcat is very similar in appearance to a modern random bred cat. The cat is a well designed predator. It has great senses, flexibility, balance and the tools to catch and retain prey. It is also well equipped to escape large predators. The dynamic and explosive jump to heights many times its own height is indicative of its refined athletic skills. In short the cat is built to survive and that includes their ability to procreate efficiently. I created a light a breezy overview page some time ago, which may be of interest:Cat Anatomy (this page actually links back to some of the articles here). A cat’s sense of taste is surprisingly inferior to ours. Cat Skeleton…is a wonderfully light and flexible structure that gives the cat its speed and agility. Cat teeth…. Are we frightened of them? They are marvelously efficient [photo: by polandeze ]. See cat gait. Cat Eyes….are special and designed for hunting and the domestic cat likes to hunt during the twilight hours. This page covers a lot ground [photo by Felinest ]. Cat Whiskers….do a lot more than we think. They can feel their way to the right place to snap the spine of the cat’s prey [photo: by Greencolander ]. 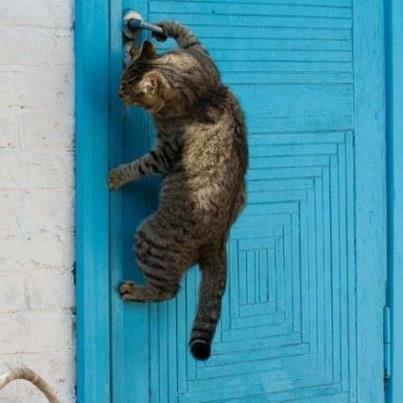 Cat Climbing…. This is one of the cat’s well known skills and it calls into play a lot of its anatomical attributes [photo by Shamanic Shift ]. Cat ears….Well, they are special again like so much of a cat’s anatomy [photo by sashapo ]. Cat Hair….built for survival. This page is (at 7th Feb 2010) a skeleton page and to be developed. Cat’s tail – you don’t see much on the cat’s tail on the internet. This page helps to rectify that [photo by lowjumpingfrog (Flickr)]. Cat Genetics – there is no such thing really as cat genetics but there are a bundle of genetic terms used in the cat fancy which are listed on this page [photo by A Journey Round My Skull ]. Polydactyl cats are fairly frequently encountered. The champion had 28 toes, 7 on each paw. Fattest Cats in the World are discussed on this page. I consider this topic both about health and anatomy but mainly the former, which is why the link is on the Cat Health Problems page too. Cat Muscles – they are fast-twitch mainly and it shows in the cat’s impressive athletic abilities. The muscles are an important component of cat anatomy. Image from Biology Corner. The above are just the beginning on the subject of cat anatomy. This page and the linked pages to come are work in progress. A definition of touch might be: To cause or permit a part of the body, especially the hand or fingers, to come in contact with (something) so as to feel…. This is an overview of the cat digestive system. A clear understanding of the basics leads to a better understanding of the details in my personal experience…. 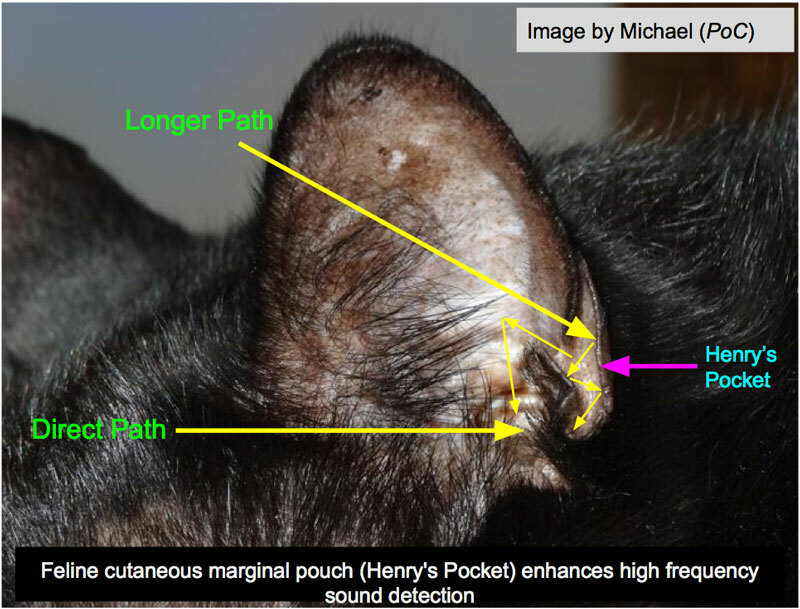 This entry was posted in Cat Anatomy and tagged cat anatomy by Michael Broad. Bookmark the permalink.